When you are having a lot of fun with the games in your new iPad Pro, you sometimes may get a little bit annoyed by the insisting popped up advertisements, right? That’s how business and game developer get you. But is there any way we can just enjoy the pure leisure time? Is it possible for us to remove the games ad from the iPad Pro? You bet! We would like to take this chance to recommend you the Tenorshare iOS Ads Remover. What can this software do for you? Followings are some of the main functions iOS Ads Remover can help. Enjoy ads-free apps for free. Quickly remove game ads on iPad Pro. Get rid of all kinds of ads in iPad Pro games like floating ads, popup ads, audio ads, in-app ads, full-screen ads, etc. Supported iOS 9.3, iOS 9, iOS 8 and lower. Enjoy ad-free game context without jailbreak. Support to turn off ads in all iPad Pro games like Hearthstone, Threes, Bug Heroes 2, etc. In that case, how to use iOS Ads Remover? Actually iOS Ads Remover is easy used software. Please follow the steps one by one, and you can finally enjoy the adds-free environment in your iPad Pro! 1. 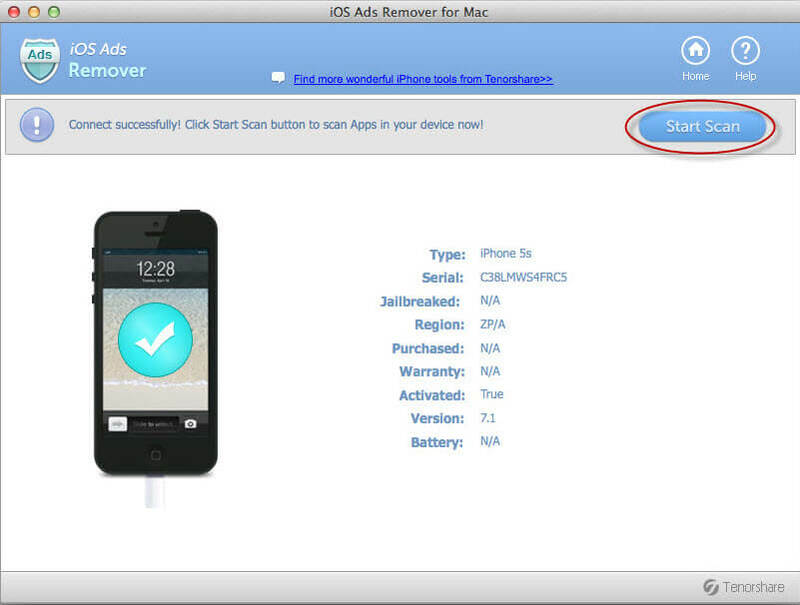 Download and install iOS Ads Remover on your PC. Click here to check how to turn off game ads on iPad Pro for free if you are an Mac OS X user. 2. After launching this software, connect your device to your computer via a USB cable.Then you can start to scan your apps in the iPad Pro. After a while, all the apps on your device are shown on the list. 3. Select the apps you need to get rid of ads in, and click "Remove". Seconds later, you blocked the ads in the apps you selected. Note:If you found that your app can't be open after removing ads, click the clockwise icon in the upper right corner of the software. 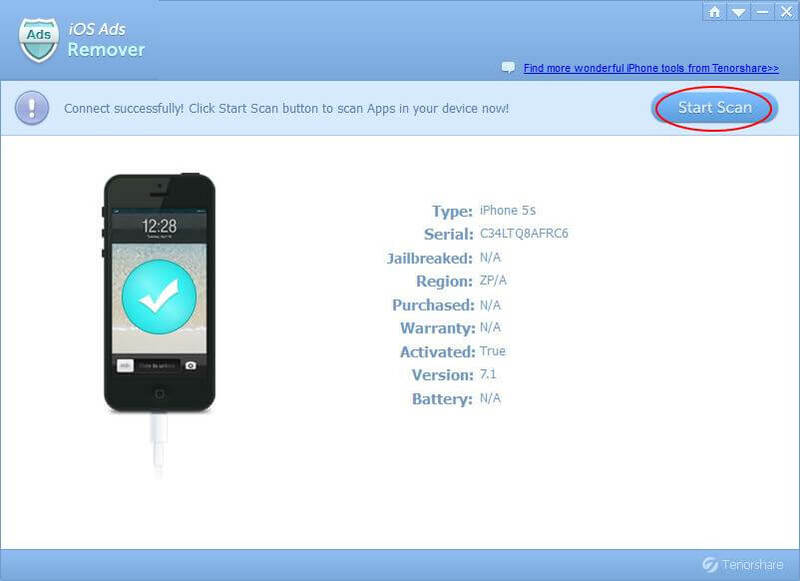 This operation will restore your app to the original state. After all that, there will not be any ads to interrupt you again, and you can enjoy the pure entertainment time in your iPad Pro!